Don't worry. Be happy. Keep learning. 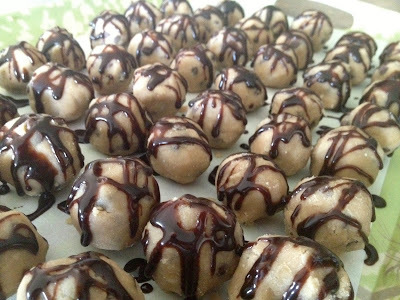 : Cookie Dough Balls. 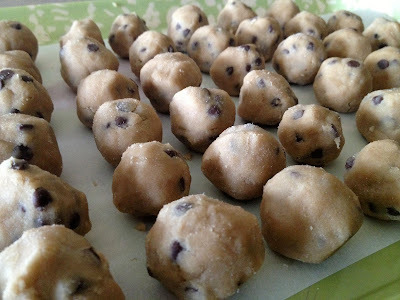 How about cookie dough that you can safely snack on as much as you want because it contains no eggs! For a pregnant lady like me (yes it's true!) that's a great combination! I've got a recipe for you to try! I found a few online and got to work! 2. Add remaining ingredients and mix well. Use your hands to get it together the best. 3. Roll into 1-inch balls and place on a sheet lined with wax paper. 4. Refrigerate until firm (about 30 minutes). 5. Dip in chocolate, drizzle with chocolate or eat as is. 6. Let stand at room temp for about 10 minutes before serving. Well, I'll be honest. These weren't my favorite or Mike's favorite, but my older sister ate approx. 20 and couldn't get enough. I personally didn't feel like they tasted enough like actual raw (with the eggs) cookie dough to satisfy my taste buds. Plus they were a little dry. So, I suppose it's really up to your preference. Mike didn't return for a second cookie dough ball, if that tells you how he liked (or didn't like) them. We pretty much agree on why we won't be making these again: taste, dryness, etc. 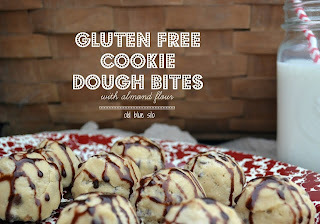 My friend and fellow blogger, Kelly, over at Old Blue Silo was thrilled to see this recipe, but has to eat gluten free. 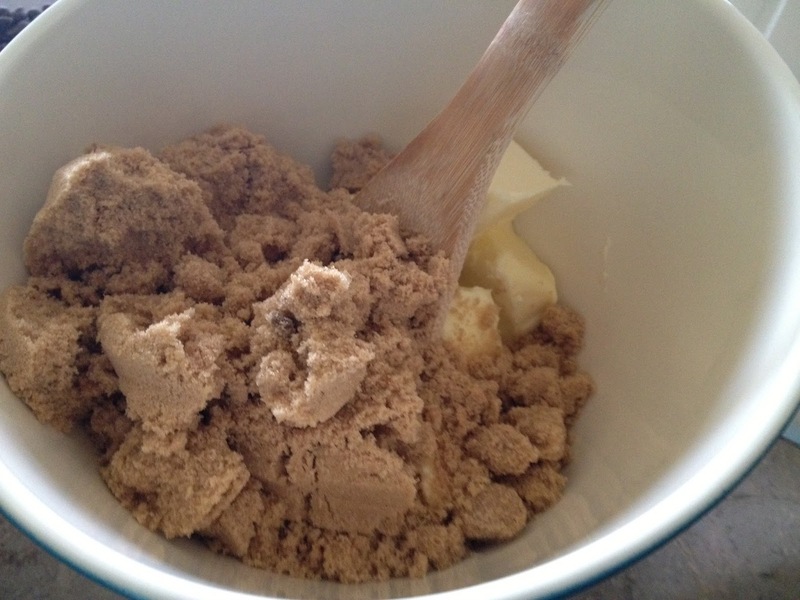 So she switched the recipe up and made Gluten Free Cookie Dough Bites with Almond Flour. She says they were delicious! Hop on over to her page to check out her recipe and while you're there make the wise choice to follow her blog. She's a classy lady! at 7:00 AM Topics: Blog., Mike Meter, Recipes. 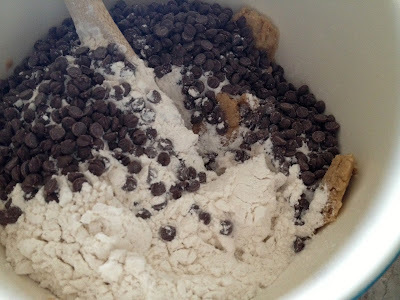 I'm curious how these would turn out with gluten free flour......I need to try sometime! When you try them, let me know how they turn out! I'd love to know! Just a suggestion: I'm nto crazy about how the drizzled chocolate sauce looks, but might try it rolled in coco powder or coarse sugar.